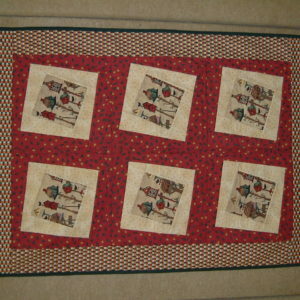 Lap, single, queen, king quilts in larger blocks. 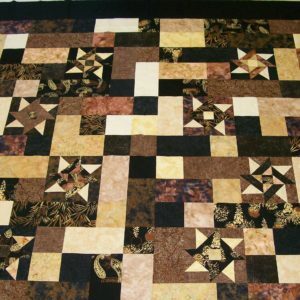 This pattern contains instructions for two different size blocks and has charts for each showing all the details to help you make many different quilt sizes. 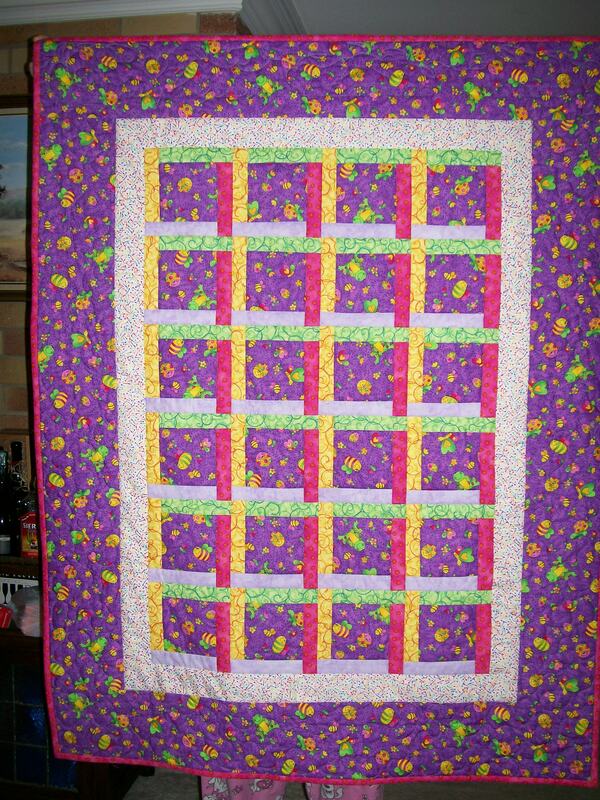 Showcase your favourite fabric and highlight 4 colours from it for weaving. 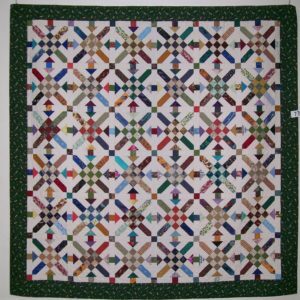 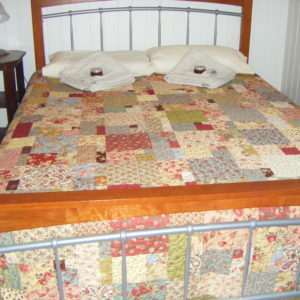 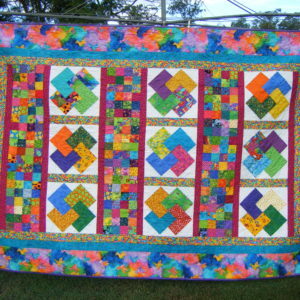 The photo quilt was made using the smaller blocks and is a cot size quilt.